Now available from ForestAndArb.com, a kit deal featuring all the needed items from Stein to setup a throwline. The 2mm throwline is high strength and the Skyshot throwbags are made with re-inforced Cordura material to ensure a long usability. The Folding Cube makes sure that the throwline can be neatly stored and folds up very small for easy transportation. 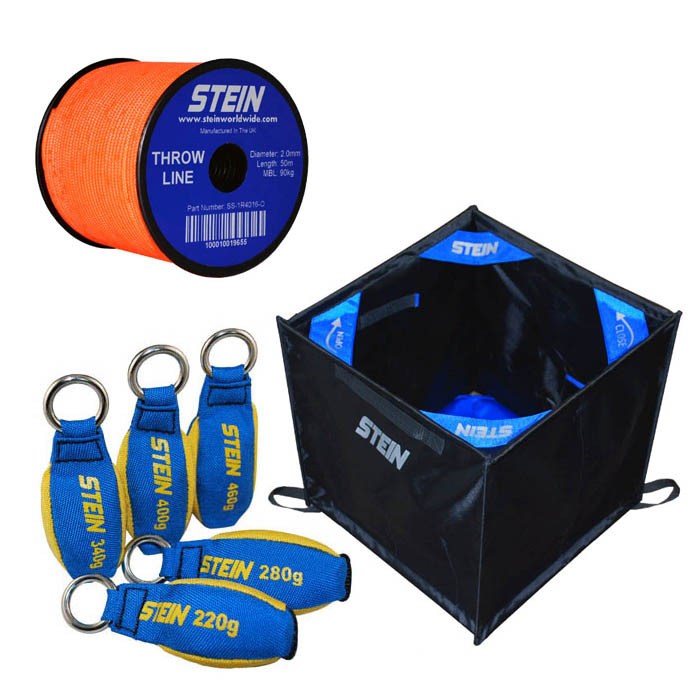 Contains 1x 2mm Stein Throwline, 1x Stein Skyshot Throwbag(Weight may vary depending on stock), 1x Stein Folding Cube. To buy induvidually click here.